Well, well, well... Looks whose addressing the unemployment rate affecting African Americans and Hispanics. It isn't the person you think would be addressing the issue, but rather it is a 2012 GOP presidential candidate by the name of Michele Bachmann. 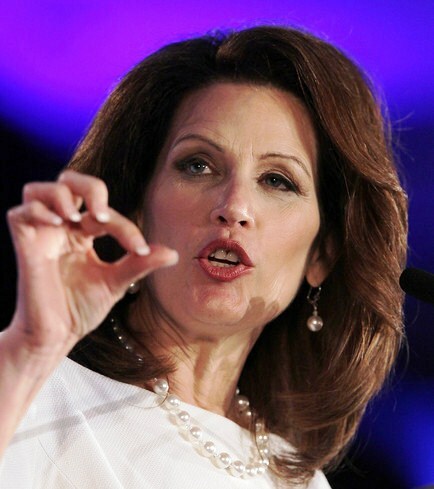 Yes, that Michele Bachmann. The one with the graphs when it came to giving a response to the President's State of the Union. Yes, that very same one. She brought up the fact that President Obama has failed the African American and Hispanic community when it came to the unemployment rates in both communities. She made her remarks at the “Republican Leadership Conference” held in New Orleans over the weekend. I'm not sure how well talk like that is going to play with her base, but it got my attention I must say. A lot of people consider Bachmann a long shot at being the nominee, but I'm one of those people who actually think she has a chance. And with talk like this, she obviously thinks she has a chance as well. At the end of the day it's going to come down to the Economy BABY! I didn't watch the video but PUHlease. She'll pull whatever political trick/antic out to try to score some points. I'd like to hear what specifically she would do to help these two populations. It does no good to acknowledge the situation but then offer no solutions. If she did offer some solutions, I'd wouldn't be surprised if her base started to dwindle.